Skin tags can be ugly, unsightly blemishes that crop up on our body as we get older. While they can grow at any age, they mostly affect older individuals, especially on the neck and shoulder area. While they are more annoying than anything else and are harmless blemishes, that doesn’t mean they can’t be safely removed so you can have clearer skin. Find out how skin tags form, as well as easy ways to remove them, in our post below. Why Do Skin Tags Form? To get the good news out of the way first – skin tags are harmless and benign. There are no symptoms or other reasons to worry about their presence. That doesn’t, however, make them any nicer to look at and its understandable that anyone would want to rid themselves of these ugly blemishes. These tags of skin can be found on the surface of the skin as well as hang from the body after sprouting from a thin stalk of skin. These are called cutaneous tags, soft fibromas, fibroepithelial polyps, or acrochordons. Most of them are colored the same as the individual’s flesh tone, though some of them can manifest into a darker color. In either case, they are benign and not a cause for concern. Skin tags are a quite common problem, as it is estimated that about 25% of the population will develop skin tags at some point in their life. Most begin to form after the age of 50, though as mentioned above they can be found at any age. Those who are afflicted with diabetes tend to get them more commonly, as well as those who are obese or overweight (as a result of folds in the skin causing friction when the skin rubs against itself). 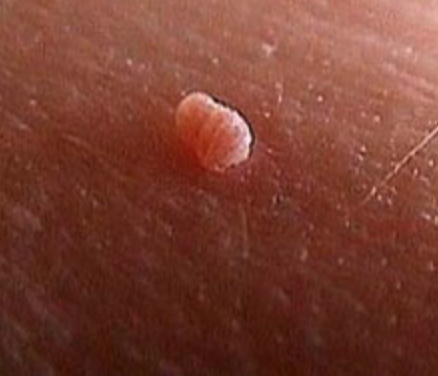 Outside of friction caused by being overweight, most skin tags are caused by friction on the skin in general. This is why they are often found on the neck, shoulders, or upper back area, where the afflicted individual’s collar or shirt rubs up against the skin and creates a tag. They can also be found lower on the back on females, as a woman’s bra strap creates friction in that area, as well as under the breasts due to the friction of the bosom against the body. While doctors have not been able to pinpoint exactly what causes skin tags, friction is the most common answer. This was determined since most skin tags crop in areas where the skin folds – in the armpits, the neck, the groin, and sometimes even the eyelid area. If you are suffering from skin tags on any area of your body, luckily there are many methods to safely remove them. 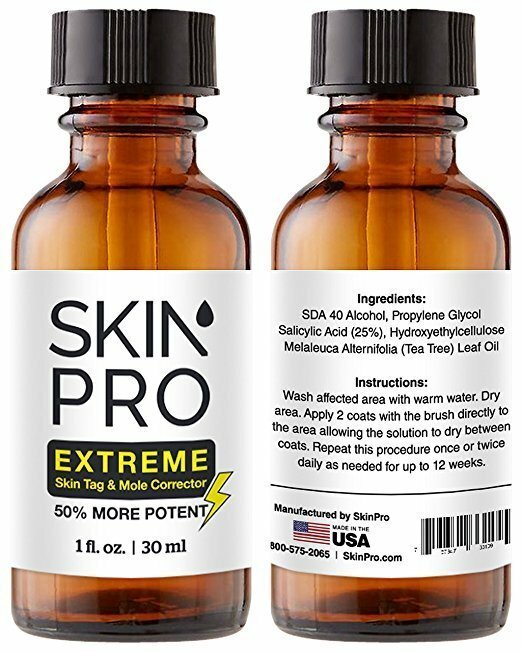 Your dermatologist may surgically remove them or freeze them off (similar to a wart), but our recommendation is removing them with our SkinPro Extreme Skin Tag and Mole Remover (available for purchase here). With a high concentration of Salicylic Acid, multiple applications of this solution will safely burn away the blemish and leave clear, healthy skin in its place. 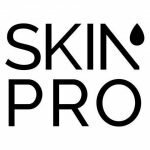 Located in Miami, Florida, SkinPro is a leading manufacturer, marketer, and distributor of skin care products based on science to help people look their best. Read more about us on this page. When Should You Be Concerned About a Mole?